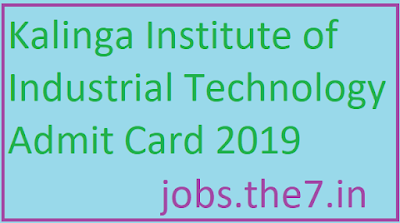 Kalinga Institute of Industrial Technology Admit Card 2019 - Government Jobs, Sarkari Naukri, Sarkari Result, Admissions, Rojgar, Exams Alerts. 6. The Admit Card will be displayed to the concerned candidates. 7. You will be required to download and print the copy of the E Admit Card.ences. KIIT University has released the admit card of the KIIT Entrance Examination -2019 or better to be known as KIITEE 2019. The KIITEE is a Computer Based Online Test conducted every year for the candidates who are seeking admission in the various courses like B.Tech Dual Degree, B.Tech. LE 3 years, B.Sc. Nursing., BA LLB/ BBA LLB/ B.Sc.LLB, BBA, BCA at the University. The KIITEE 2019 is scheduled to be held from 15-24 April 2019. Candidates who have submitted application for KIITEE 2019 can now download the KIITEE Admit Card 2019. The link of downloading the KIITEE Admit Card 2019 has been activated by the university at their official website. 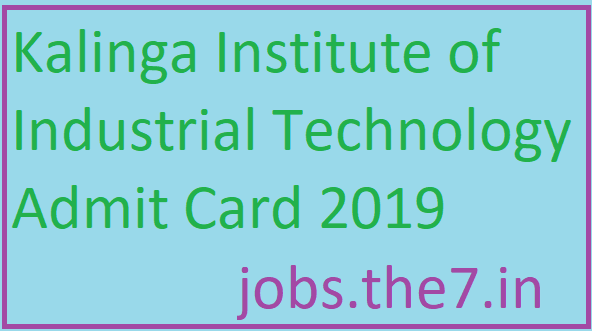 Candidates can download the KIITEE Admit Card 2019 only through online mode. No other mode of downloading the KIITEE Admit Card 2019 will be entertained.